Today's high was 107...not exactly fall weather. 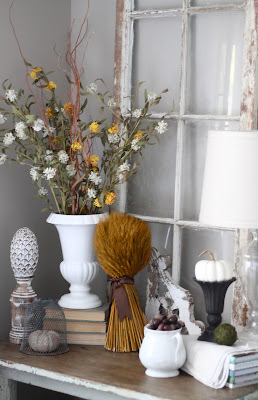 But that didn't stop me from turning our living room into a cozy autumn haven! 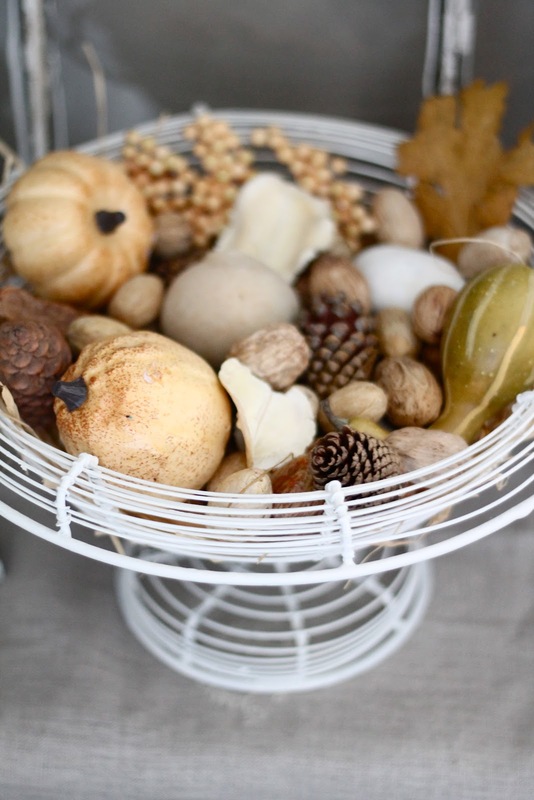 After my visit to Nell Hill's, I couldn't help but get out all things autumn and prepare for the season ahead. 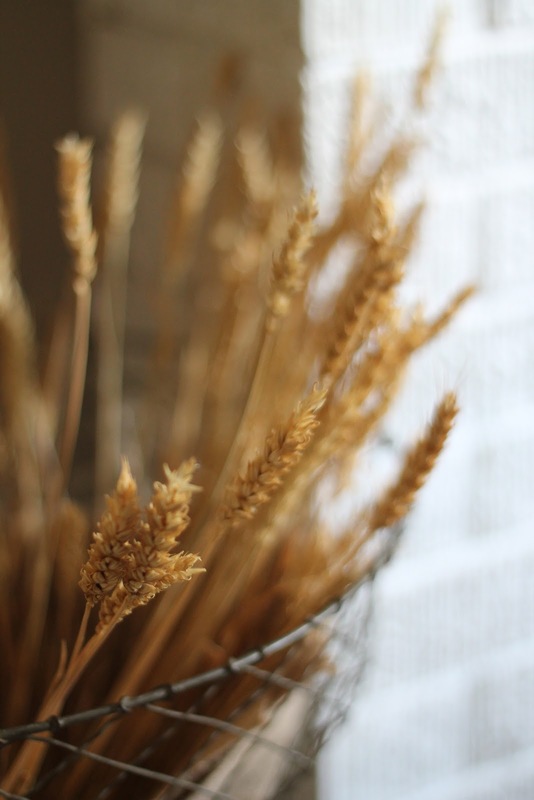 I knew I wanted to keep things neutral, but still warm up the feeling of the living room with natural and rustic touches. This huge old window is one of the things I found at Sparks last weekend. It was only $15! It's about 4 feet tall and has 8 panes with chippy white paint...that kind of thing usually goes for $50+ so I was thrilled with that find. Plus it helps balance out the big blank wall that goes across the living room. 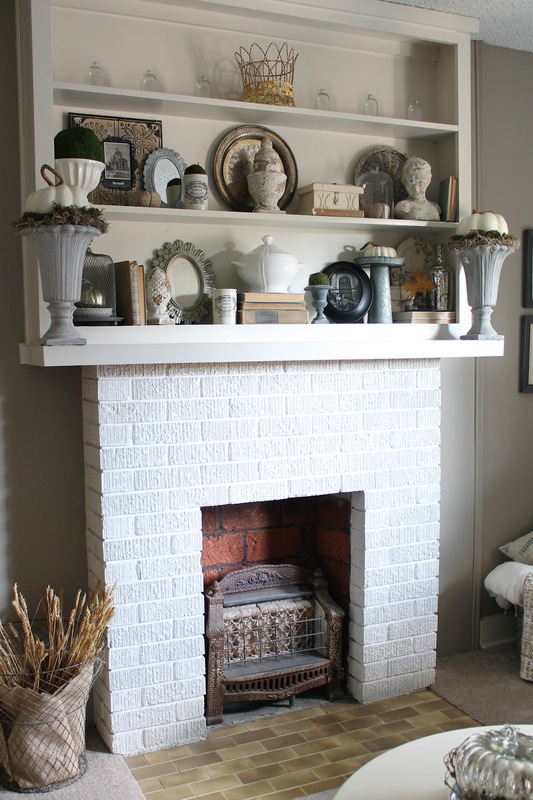 I know you are all probably so tired of looking at my living room shelves : ) I did change the decor almost completely though. 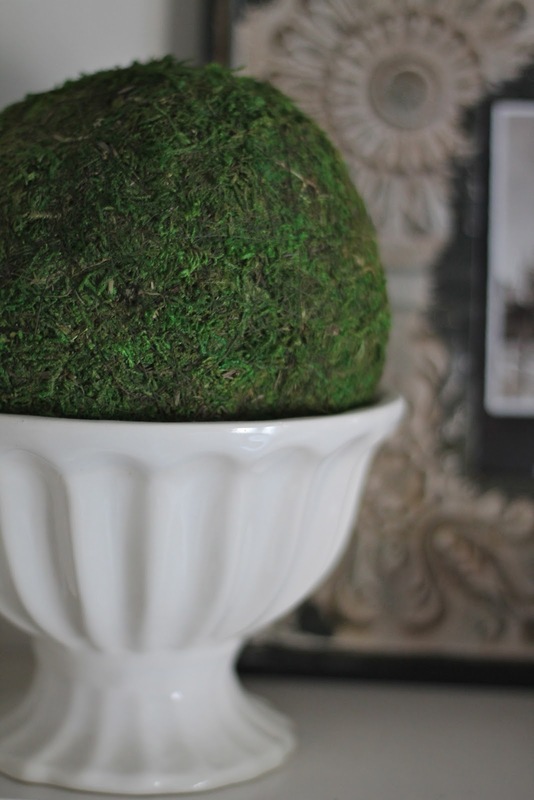 I had been wanting two urns for either side of the mantel forever, and found these at Nell Hill's. They are perfect! 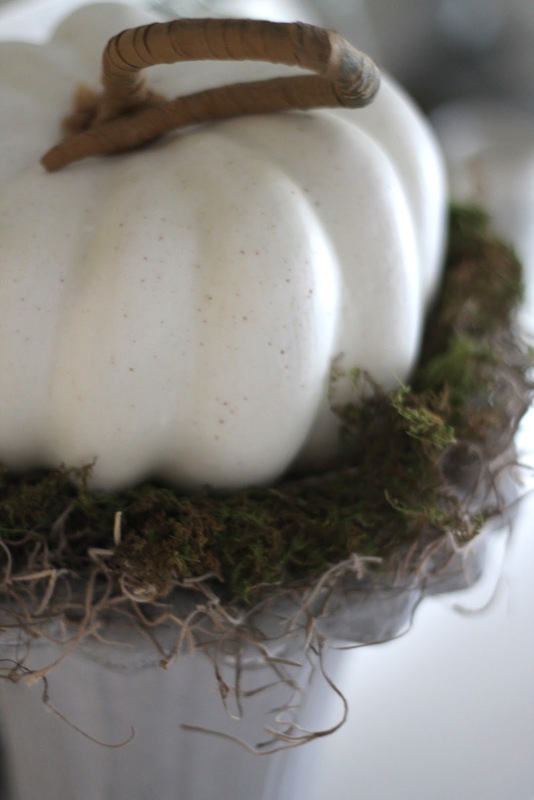 The pumpkins are from there also, and I simply nestled them in spanish and green moss. I have to say I am so proud of these mercury glass pumpkins. I actually found them at TJ Maxx! My MIL and I went there the night before we went to Nell Hill's, and I found the two larger ones for $9.99 a piece. 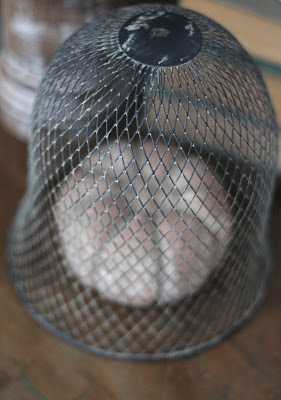 I knew Pottery Barn was selling similar ones for $30, so I was thrilled. 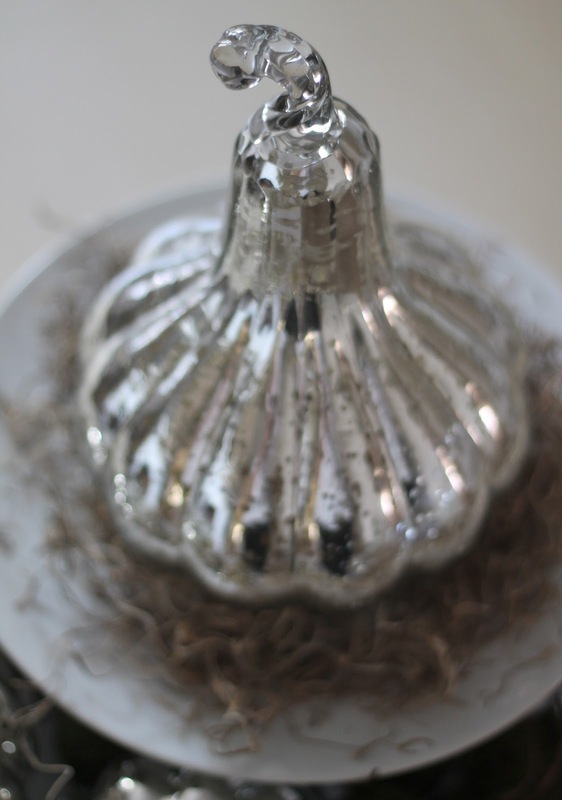 But then when we went to Nell Hill's, she had these exact mercury glass pumpkins everywhere. 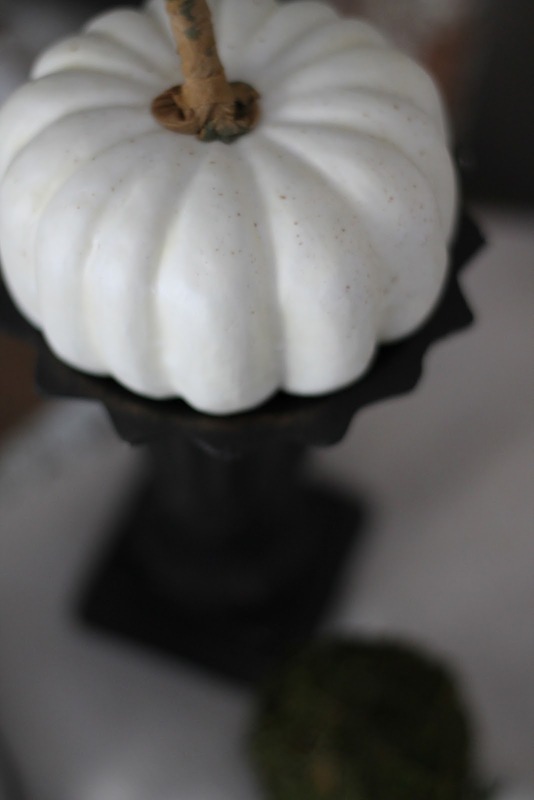 They were $11 and $14, so I saved a whopping $5 at TJ Maxx : ) I did buy the smaller pumpkin at Nell's so I would have a trio. To soften the mercury glass and white porcelain, I used grapevine garland, moss and moss balls as filler. I think it adds a natural touch and gives everything depth. I am loving this little corner. 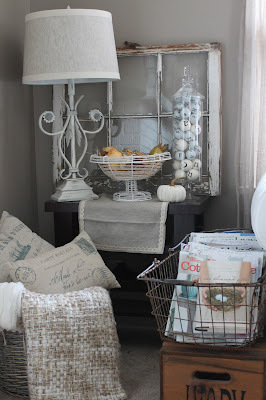 I was inspired by Pottery Barn's fall catalogue and wanted to get a similar look. I got the floral stems at Michael's. I think they cost me $15 or less, and I already had everything else you see here. 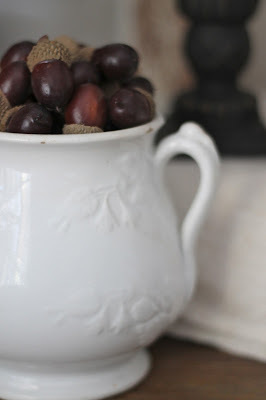 Acorn vase filler from Target in an ironstone sugar bowl. I love mixing old and new! The wheat sheath is from last year (Dillon's) and the corbel is another Sparks find, though it's going to the shop. 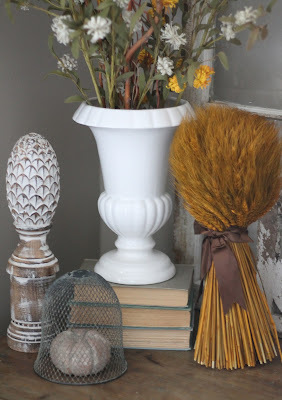 I was so thrilled to find this neutral fall vase filler at TJ Maxx. 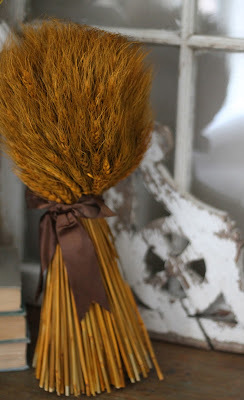 I love warm colors during the fall, but sometimes I don't want tons of bright orange everywhere. 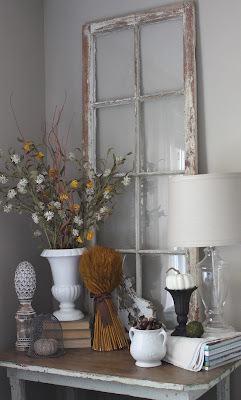 This mix had the perfect shades of creams, peaches and browns to use in my neutral home. 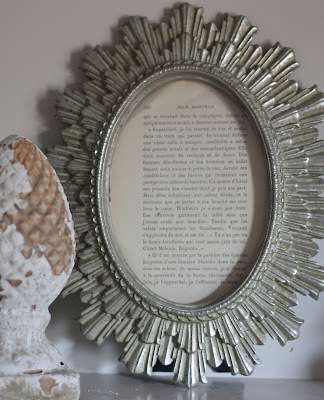 I love oval frames, but they are often difficult to find. This one came from...you guessed it...TJ Maxx, and I love its starburst shape. I didn't have a photo that would fit in it, so for now I simply framed a vintage French book page. I attempted to bring in a lot of natural elements this year, though I would still like to pick up some pine cones and real pumpkins. 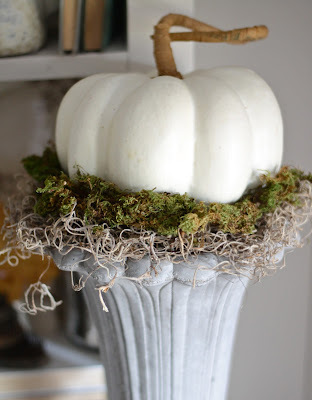 Faux pumpkins and lots of moss fill in the gap for now. I found these terra-cotta pumpkins at Tuesday Morning for 22 cents two springs ago. I wish I had tons of them...I absolutely love their texture and coloring! Fall is the perfect time to use rustic elements, like these rusty flower frogs. 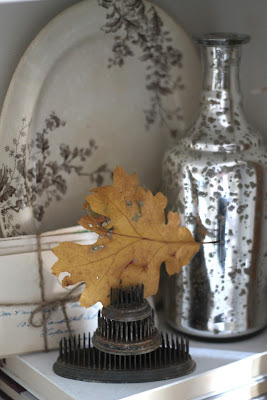 Of course, you can always mix rustic and elegant, as I did with the mercury glass bottle here. 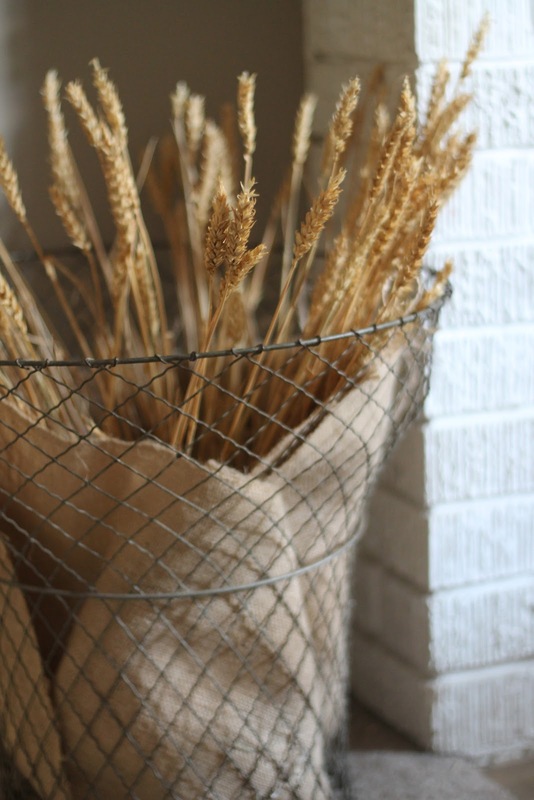 For my wire basket, I traded in lavender stems from summer for fall wheat. 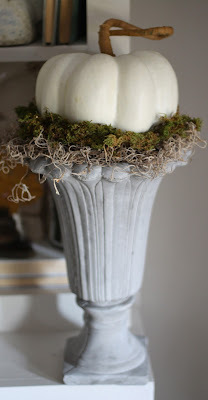 I love the texture it adds. 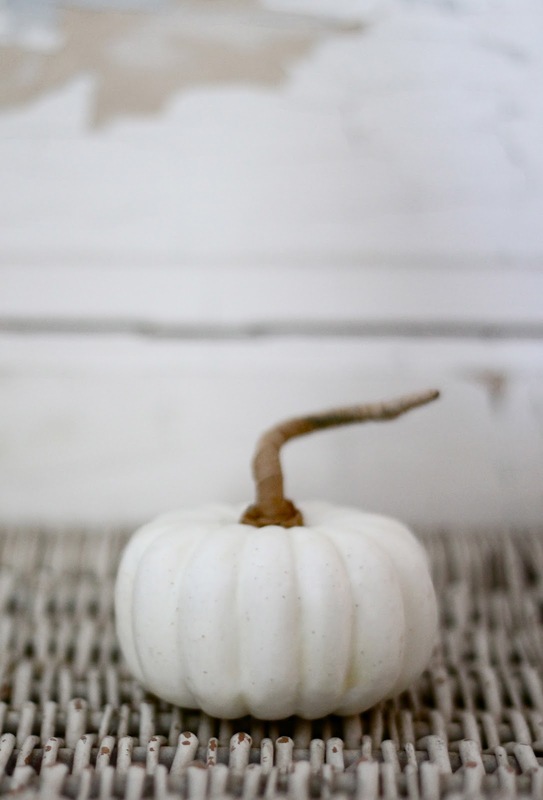 Happy fall everyone! 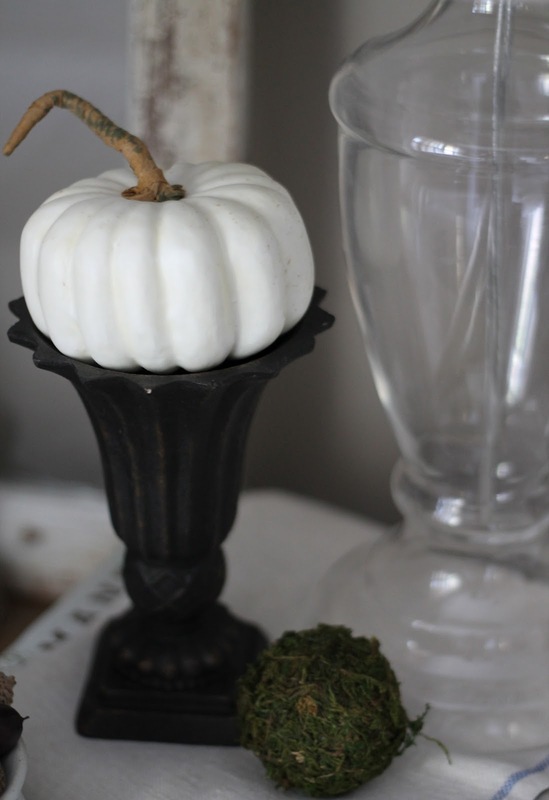 I hope to be back soon with a few whimsical Halloween touches in the kitchen. Have a great week! Love it all. Thanks for sharing. Puts me in the mood too! It all looks just beautiful Courtney!! Wonderful job! Fabulous job. I just started my fall decorating today. I will take my time and do it a little at a time. I found lots of inspiration in your post. Thanks Pamela! So glad I could offer inspiration! So very pretty! 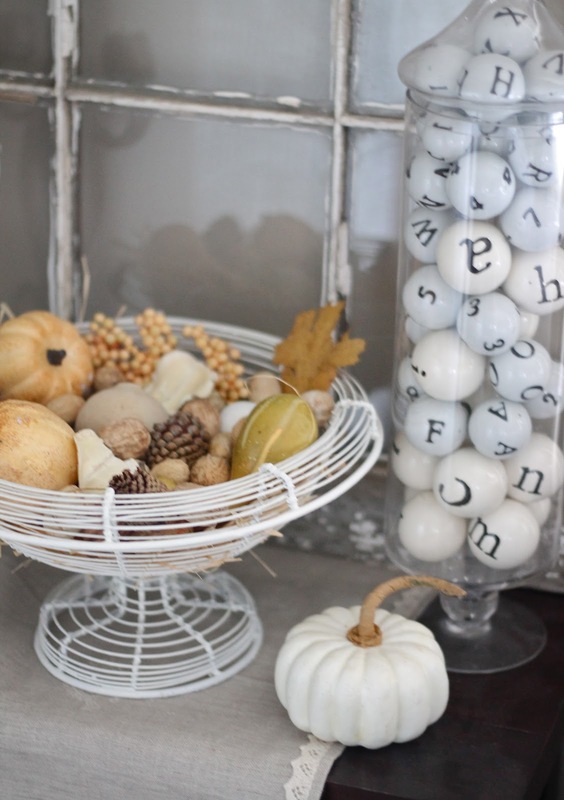 I love the bones of your room and the Fall accents are so pretty. 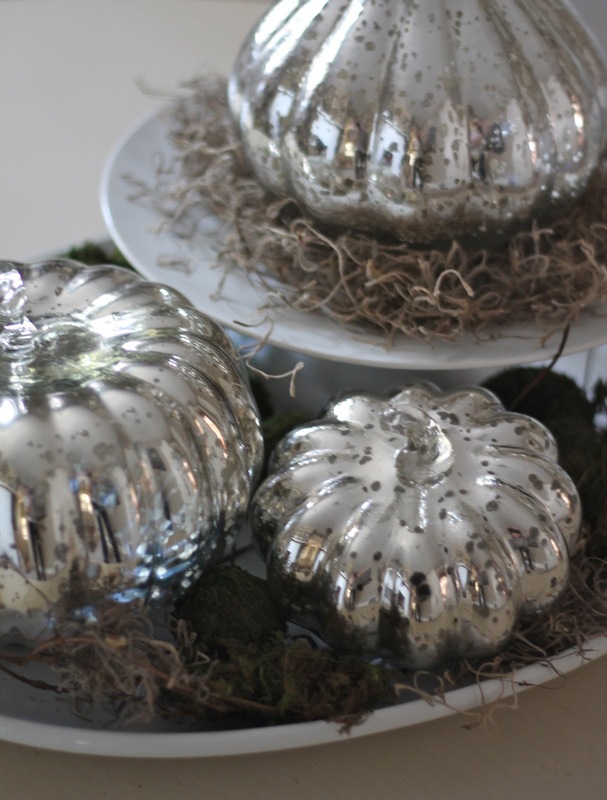 Hard to pick a favourite but the mercury glass pumpkins are fantastic. Thanks Elizabeth! 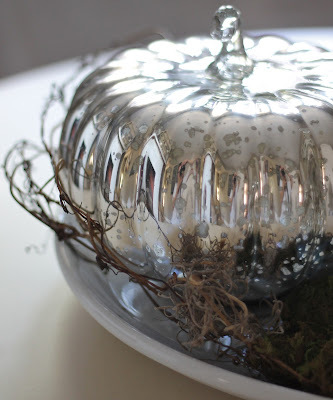 Aren't the mercury glass pumpkins to die for? Gotta love the Maxx! The Autumn accents in your room are beautiful. They DO make everything cozy up, don't they? 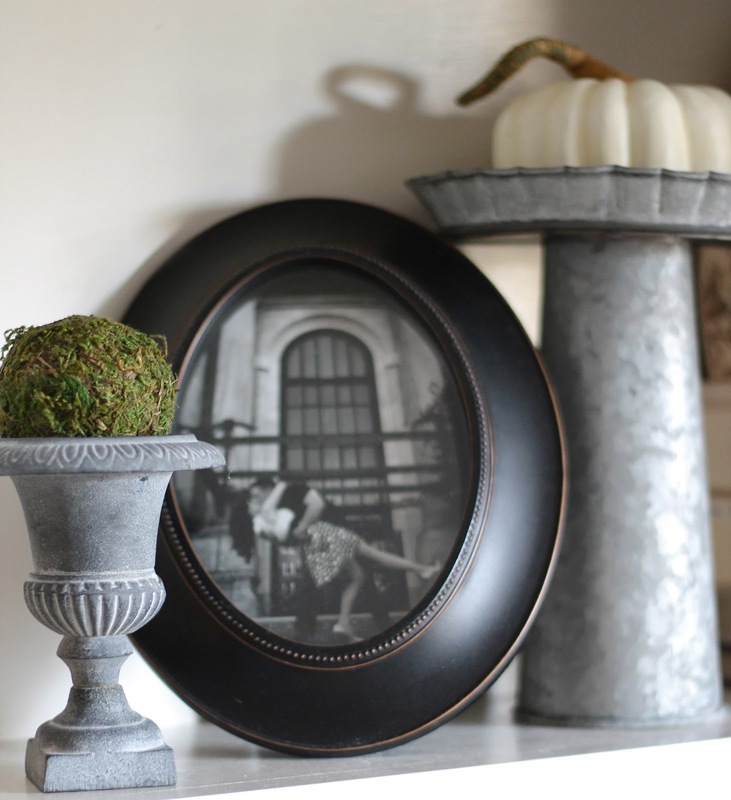 I'm just loving those mercury glass pumpkins you found! I think I would have jumped up in the aisle and cheered had I seen those. Thanks for sharing your creativity. Thanks Judy! I pretty much did jump and cheer when I found them : ) They are just too fun! super cute!! TJ Maxx is an incredible place! Courtney, you have filled your living room with such a warm, cozy feel of autumn. I love everything you placed in the vignettes. The leaf in the vintage frog is such a wonderful idea! And those mercury pumpkins? Love'em! Thanks so much Laurie! You are too sweet! Have a fantastic weekend! I love all your touches of fall in a variety of white textures. Your window is wonderful! I'm happy to be a new follower and hope you'll stop by. Thanks Mary Alice! So glad to have you! Wonderful vignettes. I like your style! 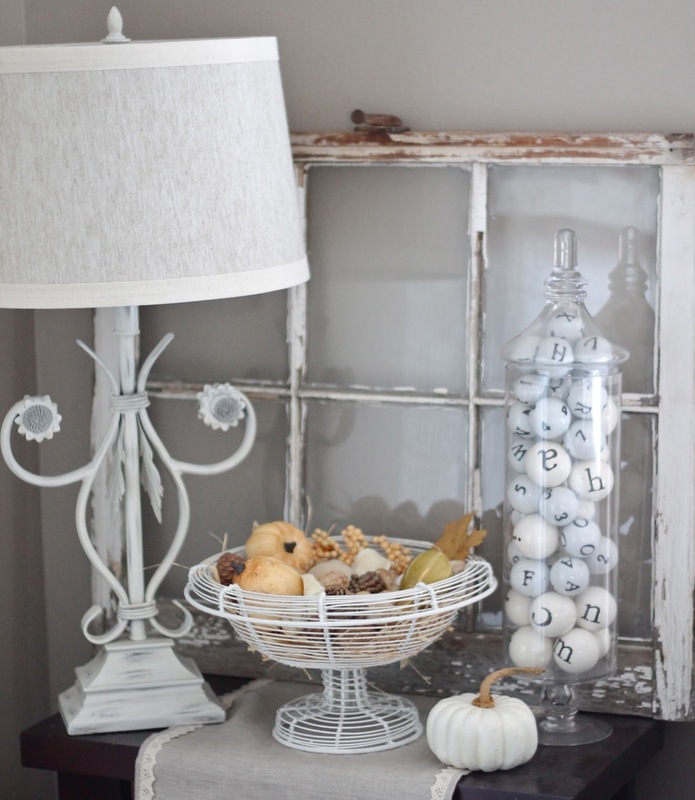 Fabulous vignettes! 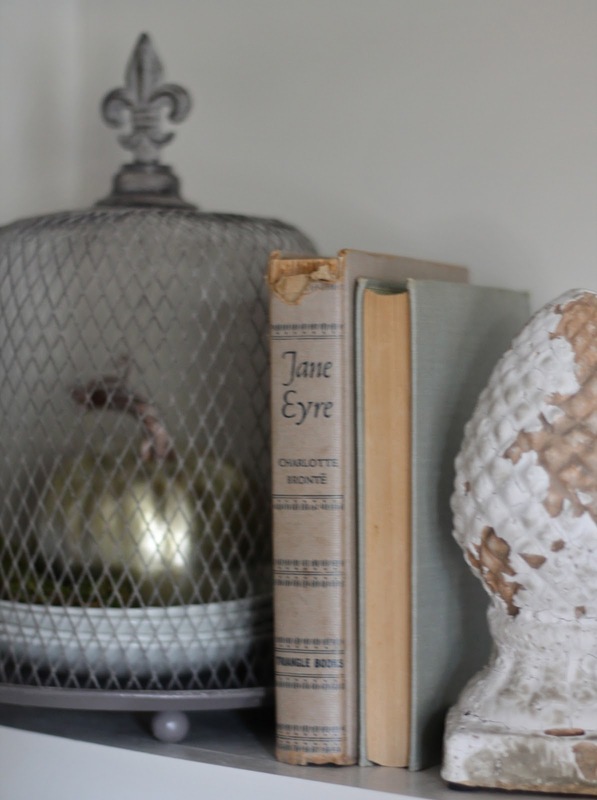 I love your colours - er, neutrals! Such beautiful fall photos. 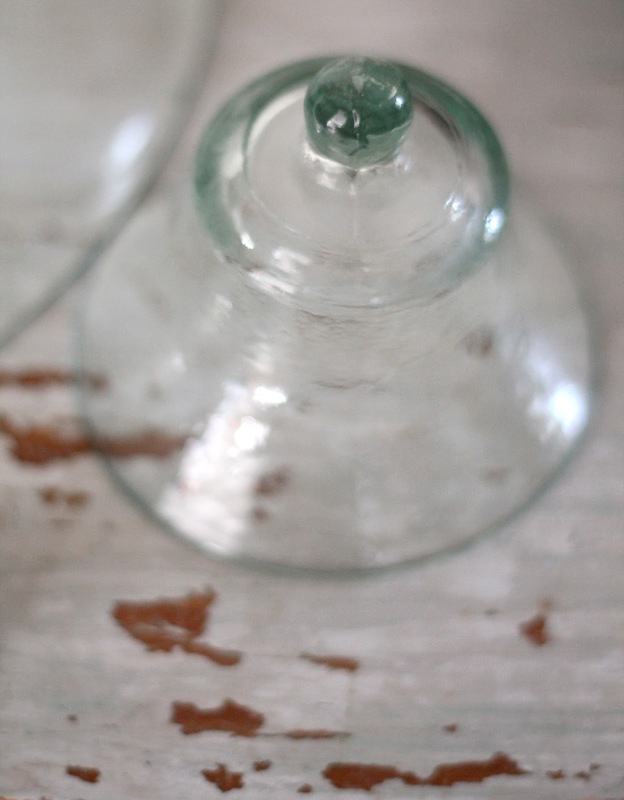 I love your simple touches! The glass pumpkins are very cute. 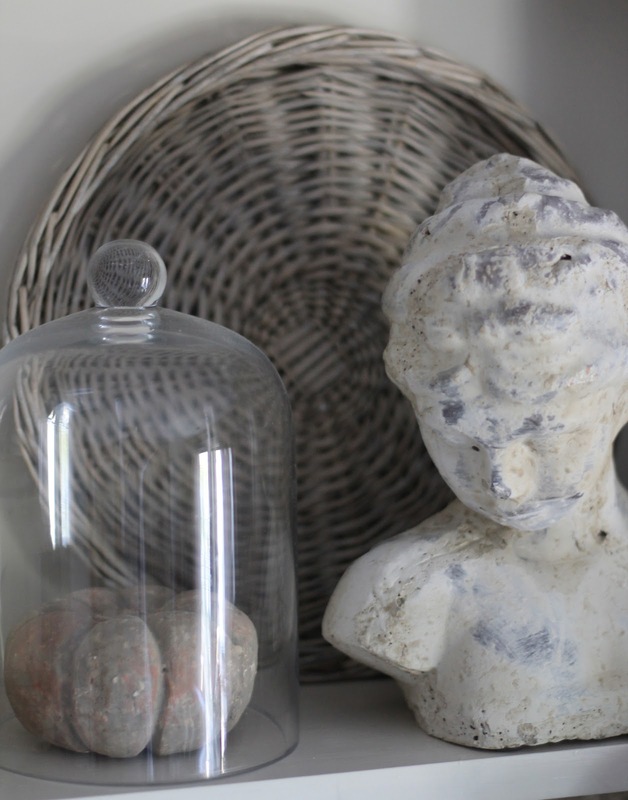 I love how you have so many unqiue things in your home.